1979 was marked by the overthrow of the shah of Iran by a populist revolt and the rise of a fundamentalist Islamic state. (CNN) -- Vice City. San Andreas. Liberty City. Tehran. Three of these locales are instantly familiar to videogame diehards as settings in the "Grand Theft Auto" series, which has sold more than 100 million copies worldwide. The latter, however, is more commonly linked to news bulletins about the Iranian nuclear program or confrontational statements by the country's hardline Islamist president, Mahmoud Ahmadinejad. If Navid Khonsari, 41, has his way, Iran's capital city will soon be much more familiar to gamers. A director of the "Grand Theft Auto" series, the Iranian-born Khonsari's next game has a simple working title whose numerals denote a world of significance: "1979." And the game's tagline? "There are no good guys." 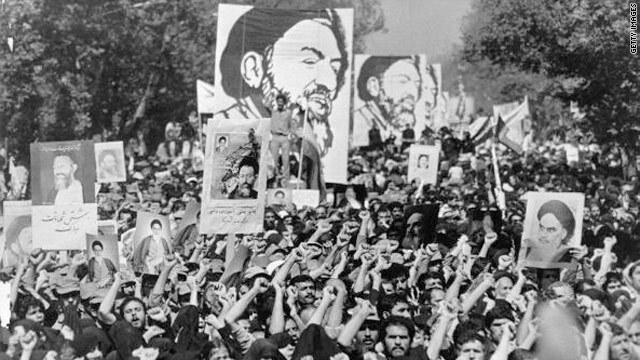 "1979" gets its name from the year when the hostage crisis at the U.S. embassy in Tehran began, which was during the height of Iran's Islamic Revolution. That year marked the overthrow of the dictator, Shah Mohammad Reza Pahlavi, by a populist revolt and the subsequent installation of a fundamentalist Islamic state. The game aims to combine some sandbox, open-world elements popularized by "Grand Theft Auto" with what Khonsari calls a "baton-pass" narrative, which explores this historic backdrop through the sequential perspectives of several playable characters. Khonsari has an ideal pedigree for an undertaking this ambitious: Besides creating a raft of iconic and genre-defining games, he also grew up in Iran during the Islamic Revolution. Navid Khonsari says that players of "1979" will make choices that could change how they look at history. "I want people to understand the incredible moral ambiguity of this story, that this was a country with many different ideas and beliefs," Khonsari said in an exclusive interview with CNN. "Growing up in Iran when I did, I saw Iranians in the greatest light, and I saw them in the worst light." Shortly after the fall of the shah, Khonsari's family fled Iran for Canada. Khonsari moved to the West Coast as an adult to pursue a career as a filmmaker. 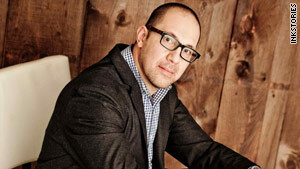 He later moved to New York City and applied his talents to an up-and-coming studio named Rockstar Games. "I was the cinematic director for 'GTA 3,' 'Vice City' and 'San Andreas,' as well as the two Max Payne games, 'Red Dead Revolver' and 'Bully,' " he said. "Anything that came out through Rockstar between 2001 and 2005, I was fortunate enough to be involved in. "My main job, and what grew into my current passion, was bringing that cinematic 'feel' to video games." After he left Rockstar, Khonsari founded his own game-production company, iNKstories, which he co-runs with his wife, Vassiliki. The duo already have two blockbuster titles under their belt, "Alan Wake" and "Homefront." They aim for "1979" to be the third. At the game's outset, the player is an American/Iranian translator on a mission to rescue the embassy hostages. The player must choose one of three historically inspired ways to enter Iran: By helicopter with a U.S. special forces team, through the Iraq border with Saddam Hussein's army or across the Afghanistan border with the Taliban. In these preliminary levels, the game plays as a fairly standard third-person shooter, with some linguistic puzzles that will test your character's imperfect mastery of the Farsi language. 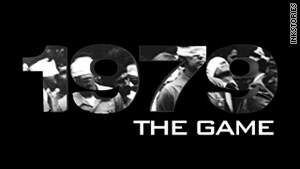 The gameplay of "1979" includes morally ambiguous elements of diplomacy, stealth and bartering. "But once you get into Iran, you're no longer the translator," he said. "You take the role of a student demonstrator who was opposed the shah. You've kicked the shah out, but you're unhappy with some of these fanatical elements you see rising up. "So the game changes, and now your mission is to get this small military group to Tehran, but nonviolently, clandestinely. You want the American hostages out of Iran because you want the country to focus on rebuilding itself, and you've heard all these rumors about a war with Iraq coming." This, Khonsari explains, is where gameplay shifts to include some morally ambiguous elements of diplomacy, stealth and bartering. Each time the baton passes to a new character, the style of gameplay changes, too. Some characters will focus more on action, while others will feature vehicles and puzzle-solving. "Not everyone you meet is going to be helpful," he said. "There are going to be aspects of bribery, making exchanges and turning a blind eye to really bad stuff so you can get the job done. "Maybe, in order to get the group there, you need to sacrifice some stragglers and let them get captured so the others can get away. And then you'll have some extreme choices to make when you get to Tehran: Are you going to invade the embassy, guns blazing, to try to get the hostages back? Or are you going to try to protect the embassy from the Americans? "People who might not be completely familiar with the game world look at fancy graphics and polished gameplay and say 'this is cutting edge,' " he continued. "But from what I've seen, it's still quite basic. Very much a checkers mentality -- red against black, good against evil. I'm interested in having good and evil within the same character, and for you to experience both. I think that's true to life, and I think you can design a game around that, too." A multiplayer version is also in the works, with 12 maps planned for release. The multiplayer modes will feature differing combinations of straightforward gun combat with ruthless negotiation and decision-making. Though the game is still in the alpha stage of development and at least a year and a half away from release, Khonsari hopes the success of "1979" will breed a franchise of similar games. "(This is) the first installment of a franchise where the games will be named after years in which there were CIA operations within certain countries," he said. " '1979' is the first one because it's closest to my heart and I know the story the best. After that, we want to explore what took place in Panama with (Manuel) Noriega, and Libya back in the '70s and '80s with (Moammar) Gadhafi." Khonsari's heritage is one reason he's not concerned with political correctness in his treatment of one of the United States' supposedly implacable enemies. "Iranians are going to criticize me because I'm making a game that 'promotes American imperialists going in and shooting Iranians,' " he said. "Americans are going to criticize me because I'm making a game that 'glorifies Islamic fundamentalism,' or something. I'm not going to please everyone, and the point of the game isn't to do that. "I think that being able to base a game in contemporary historical truths is significant, besides being educational," he said. "It opens people's eyes to look beyond what they're reading in the paper and realize that there's a definite relationship between history and the headlines. "Most of the people who are playing games nowadays were born after 1980 -- after the Iranian Revolution. People are so quick to accept the official record of things as 'history,' without examining everything that's gone on in the last 40, 50, 60 years. It's important we remember these things, and work to keep them relevant."